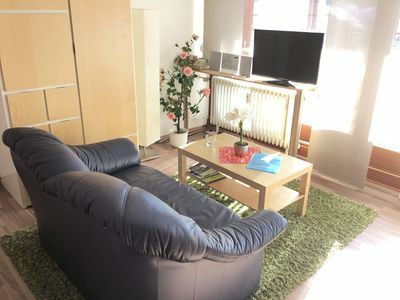 1-room-apartment (2 pers . ; 100sqm) in. 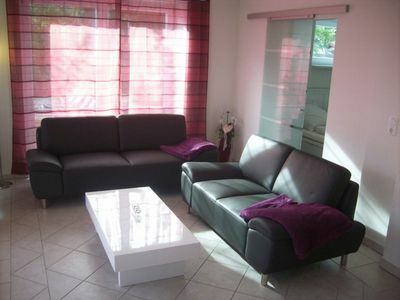 1 Floor with exclusive furniture, 1 living / sleeping room with a double bed. The kitchen is equipped with stove, coffee maker, toaster, dining area, satellite TV, radio-CD player. The bathroom has a bath, shower and toilet. The over 500 years old farmhouse near the Baltic Sea will be redeveloped lovingly and carefully since the year 2000th Center of Gutsanlage is the magnificent mansion surrounded by a moat. is location of the farmhouse Gerdshagen centrally located between the Hanseatic cities of Rostock (31 km) and Wismar (39 km). 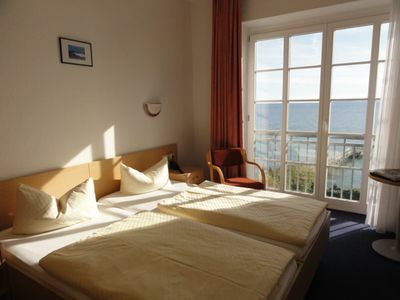 Baltic Sea beach: The next Baltic Sea beach is 22 km south of the seaside resorts Kühlungsborn, Heiligendamm and Rerik located with your white, wide sandy beaches, piers and lively beach promenades. Leisure at the resort There is much to experience! House and yard offer numerous ways to relax, discover and enjoy. Reading under old beech and oak trees, walking in the park, table tennis or badminton, explore the herb and vegetable garden, watching animals in the stable and feed, a glass of wine in the evening with a barbecue fire in the park or on cold days the fireplace in the old enjoy Gutsküche or unwind in the hammock ... This is holiday in Gerdshagen! General information on the apartments you can experience in the former servants' rooms on the main floor or under the roof of the farmhouse old-world charm. You have the choice between four lovely furnished apartments. The house has a spacious lounge with fireplace or chimney for social hours. The house can accommodate up to 18 people and 2 infants. All 4 holiday homes radiate with their bright, cheerful colors and stylish décor from an individual ambience. 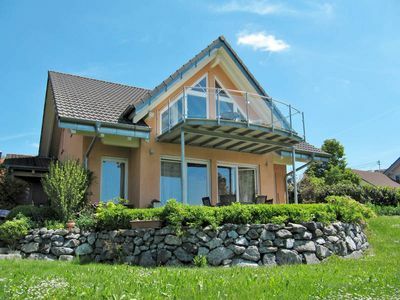 Rest and relaxation can be found all around on the spacious landscaped yard with spacious garden, in the undisturbed, rural area surrounding the farm, the adjoining Buchwäldchen and open fields and meadows. 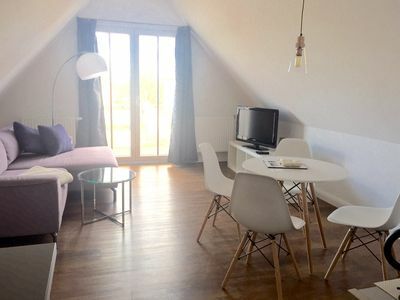 The apartments are bright and colorfully decorated and feature stylish decor and modern kitchens; Bathrooms with toilet / shower or bath, satellite TV and radio. The equipment is practical and loving at the same time. Apartment "Old Kitchen" - here you can experience the Urtümlichkeiten of such an old mansion particularly impressive! The almost 1 meter thick walls exude a special flair. Accommodation with 2 bedrooms, living room, kitchen and bathroom with bathtub is ideal for holidays with children. Apartment "piano nobile" - Stately located in the spacious apartment on the main floor - the beautiful floor. 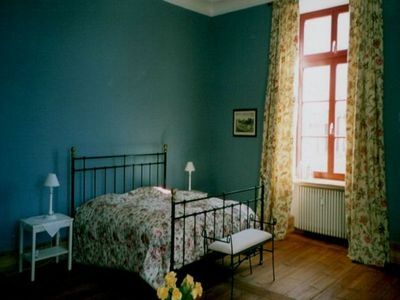 The rooms are restored as a monument and give the flair of old times again: beautiful stucco ceilings, old decorated doors, colored walls and bright large Räme characterize this apartment, which is stylishly decorated. 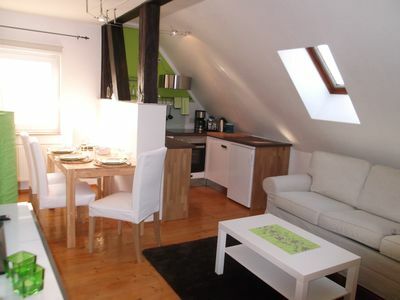 The apartment is equipped with a large living and sleeping mat, kitchen and a spacious bathroom with tub and shower. Apartment "Beautiful views" - The age of the house is here seen by the beams. The old wooden floor has been carefully reconstructed, leaving the paneling from the turn of the century. Nicely furnished with a large living room with dining table for 6 persons, kitchen, 2 bedrooms, bathroom with shower. From here you can enjoy the view of the countryside. Apartment "Garden View" - Previously, rooms this holiday, the offices of the last landowner. 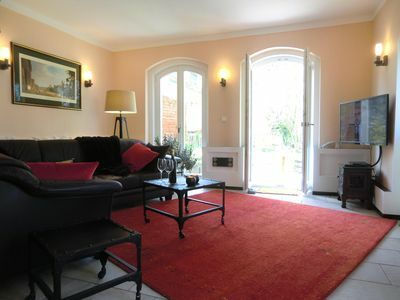 Unmistakable is the charm of this apartment, which has a private entrance to the garden. 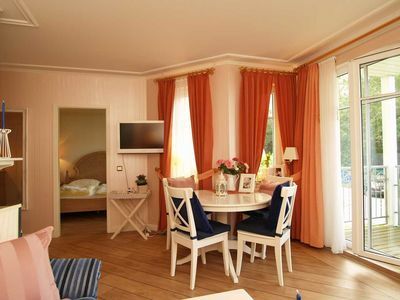 A cozy living room with reading corner and sofa bed, a kitchen with a sitting area, a double bedroom and a bathroom with bathtub make vacations at the manor Gerdshagen an experience. Child-friendly facilities: baby cot, highchair, dishes / cutlery, toys, baby monitor. Babysitting on demand. Equipment in the house: WiFi, fireplace, stove, lounge with books board games, table football, toys for children. 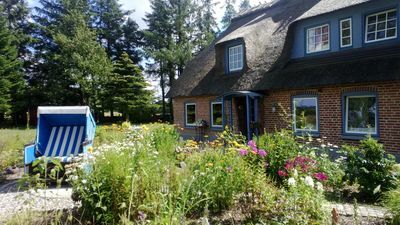 At the house: large garden with deck chairs, furniture, hammock, barbecue areas, herb and vegetable garden (salads, etc. ), animals to touch and stroke, climbing trees. Child-friendly amenities at the house: trampoline, swings, sandbox, scooter, bicycle, toys in the garden. Service: bun service or breakfast (10 euros per person, 6 € Children 6 - 12, Children under 6 eat free. ), Extra linen packages for a small fee, use of washing machine (gg. Fee), farm products (honey, jams, fresh farm eggs). Baby cot and highchair free on request! In total journey price: Bed linen and towels (possibly Additional beds are charged extra), electricity, water and heating, final cleaning and parking at the house. Home / Small Pets: Pets are not allowed! 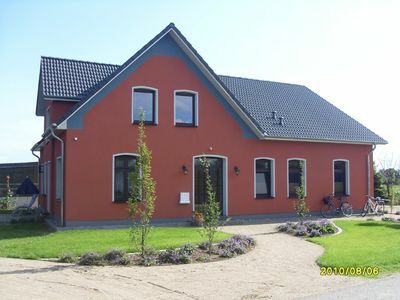 Reetdachkate of 1860 in an idyllic location; in 2012. completely renovated. 1Z. FeWo 2 Pers. Bad-Kochn. S-pool balcony in the house, sauna + Fitnessr. 35, - € Tg.